Day 5 – Where am I and where am I going? In the previous post, I talked a great deal about the “mythological” concept of a gay ideal. In this post, I would like to define, in more measurable terms, what I believe the gay ideal to be, as well as to establish a reasonable goal for me to work towards. First, let’s talk about my body weight. In fact, body weight doesn’t tell us very much, unless we think of it as a function of height. This function of height and weight is usually referred to as the “Body Mass Index,” or BMI. Now, let’s calculate my BMI and see where I stand! My height is 5’11” and I am currently weight 201 pounds. Using the BMI Calculator at the NIH website, my BMI is 28. According to the NIH, a BMI between 25 and 29.9 means that a person is “overweight.” A more “normal” range would be 18.5–24.9. I would also suggest that a gay ideal body sits within this “normal” BMI range. In order to make it to the “normal” range, I would have to lose 23 pounds. 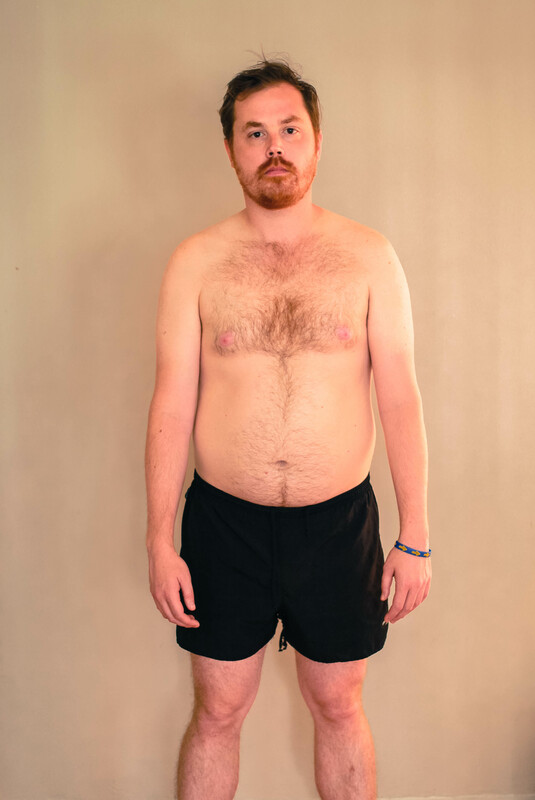 To be safe, I am going to make it my goal to slim down to 170 pounds, which I believe is a healthy and achievable goal that will represent considerable progress towards achieving a gay ideal body weight. So, I bet you’re all curious! 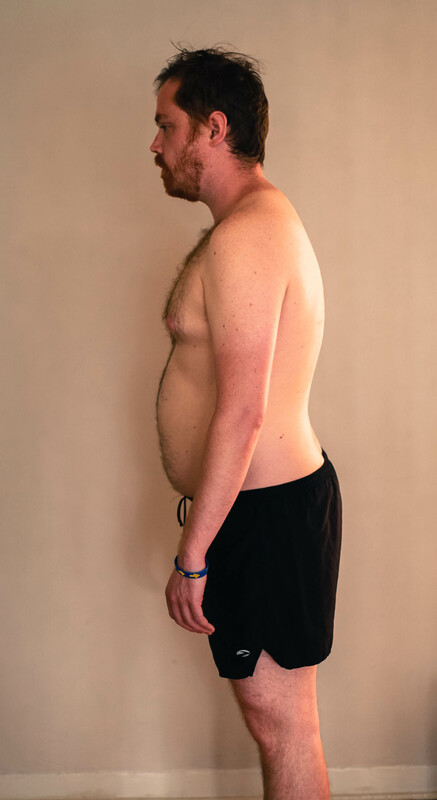 What does my overweight body look like right now? Here goes! Using the examples above as my guide, I appear to be closer to the 30-32 percent picture than I am to the 20-22 picture. If I will make a rough estimation that my body fat is 25 to 28. What does having a body fat of 25 to 28 actually mean? 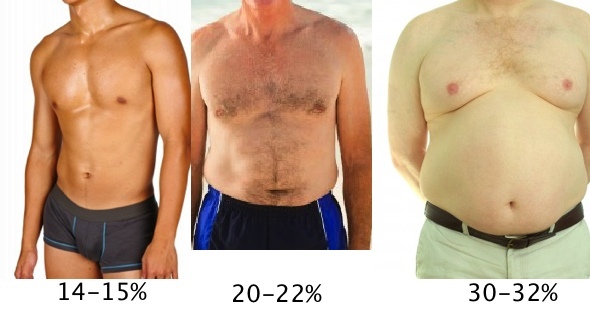 According to Marc at Builtlean and the American Council on Exercise, a Body fat percentage above 25 constitutes “obesity.” Using the above pictures, I would define the gay ideal as being somewhere between 6 and 10%. I don’t think it’s at all possible to for me to get my body fat percentage down to 10%, so I will aim for 17% which is what the American Council on Exercise describes as “fitness” body fat percentage. So how much fat would I have to lose to be 170 pounds and 17 percent body fat? After crunching a few numbers, I found out I would have to lose 27 pounds of pure fat and lose 4 pounds of muscle mass. To summarize my goals: by the time of the cruise I want to be 170 pounds with 17 percent body fat.